Especially when it’s not the voice of the majority, just the hypersensitive few. Trigger warning: Twatter, Arsebook and other like campaigners are going to be called names in this post. Offended? You will be. So stop reading now. The blog owners take no responsibility for any offence taken. Furthermore, ‘taking offence’ may lead to a complaint to the Police being laid against the offence takers. Remember, just ‘taking’ is theft and therefore wrong, no matter who does it. Very bad. Consider your wrists slapped and my admonishing finger wagged. Don’t do it again. 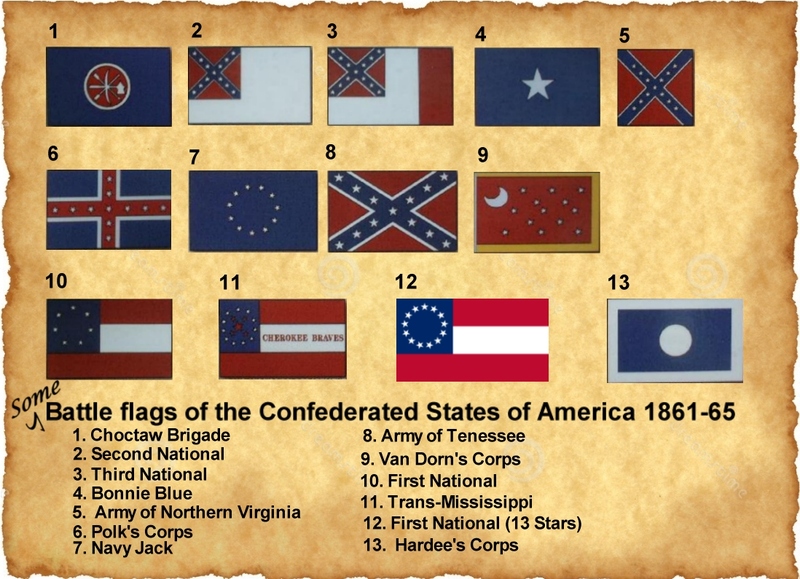 The hypersensitive have been running around the Interweb in the aftermath of the South Carolina church shooting in their usual aimless fashion, demanding that all objects bearing the American Civil war confederate battle flag of the 1st Army of Virginia are banned. As usual, the big online retailers, mistaking vociferousness for actual support, are now implementing their own ban on all merchandise carrying said image. Why? Because a mentally ill fruitloop murdered a bunch of nice respectable churchgoing folk in church had such a flag in his possession, having shortly before his heinous act espoused ‘white supremacist’ views. Which he had adopted for no readily apparent reason. Probably because he was mentally unstable? No-one close to him spotted this? As an aside; being mentally out of whack doesn’t say much for any notion of ‘supremacy’ does it? To be supreme, firstly you have to be better. Which is subjective to say the least. People who are ill cannot be supreme, as illness, by its very definition means that someone is below par. Then there must also be someone to have supremacy over, and killing those considered ‘beneath’ any masters is a bit of an own goal, regardless of symbols. Even if they’re far more humane and less unhinged than you, like the murdered churchgoers. When the subgroup you consider yourself to be ‘master’ of is gone, who’s next? The slightly overweight chap wearing glasses who reads ‘too many’ books? People with ginger hair? (I think a certain Prince of the Realm might have something to say about that). Anyone cleverer than the supremacists? Which isn’t that difficult, from what I’ve seen, people who adopt such views aren’t exactly the sharpest tools in the box. I believe the Khmer Rouge tried this idea a while back. Newsflash. It doesn’t work. Sooner or later you run out of ‘others’ to persecute. What else doesn’t work? Bans. Banning things always has a rebound effect. For example; banning certain music just makes people want to listen to it, just to see what all the fuss is about. Worked for Rock & Roll in the 50’s didn’t it? The bigger the fuss, the larger the rebound. As proof of this principle, sales of the ‘Stars and Bars’ have increased and those who see themselves as part of a loose ‘rebel alliance’ will no doubt already have said emblem prominently on display. As well as watching re-runs of ‘The Dukes of Hazzard‘ and putting Confederate Stars and bars’ back on their models of the ‘General Lee’, from which Warner Brothers are removing them. Banning a symbol which is only loosely connected with the commission of a crime never ends well. I’ll make a bet that sales of the ‘confederate’ flag will slide off eBay, Amazon etc onto Craigslist and Kijiji, to quietly resurface on Amazon and the like when the Twatterati have turned their goldfish level attention spans to something else in three days time. Dukes of Hazzard original memorabilia will shoot up in price because the ban will have automatically created a rarity premium. Furthermore, those offended by such images are cautioned not to look at the graphic of Confederate battle flags below. Offended? Really? You can’t say you weren’t warned. My discerning reader will have noted that at least three Confederate flags bear a striking resemblance to other non-US national symbols. The ‘Navy Jack’ for example looks a lot like the current EU flag. In a poor light, the flag of Polk’s Corps could be mistaken for the Icelandic or Norwegian flags. If I told you the emblem for Hardee’s Corps could easily be mistaken for the flag of the tiny Pacific nation of Palau, I would not be far wrong. Nevertheless, the people campaigning for such a ban can only be described as brain dead wankers because, as usual, these ladies front bottoms are, as usual, mistaking symbol for deed. Then applying a boneheaded, top-down, one-size-fits-all philosophy. Their crippled intellects have no space for nuance in their reasoning, thus demonstrating an uncanny ability to utilise their rectums simultaneously for both vocal apparatus and cranial storage. Which in an obtuse fashion is quite a feat. A highly stupid demonstration of ventriloquism and contortion, but nonetheless impressive to watch from a safe and hygienic distance. They forget Bans are great for forming a tighter nexus around a rallying point for the people they despise, Polarising otherwise uninvolved communities and turning the unlikeliest people into political allies. The ban the campaigners want would criminalise all sorts of harmless folk, from Civil War re-enactors to collectors of memorabilia and antiques. Pushing them straight into the arms of the real racists. Bang, ow me toes! It really is very sad. Enough now. I don’t really have a dog in this fight, but it’s just such fun watching idiots dig holes to bury them selves in. If these intellectually challenged campaigners really wanted to ‘end racism’, the easiest way would be, as Morgan Freeman once so elegantly put it, to “Stop talking about it” accept other peoples differences and get on with life. Update: An interesting article on similar ‘Confederate Outrages’ in the National Post.